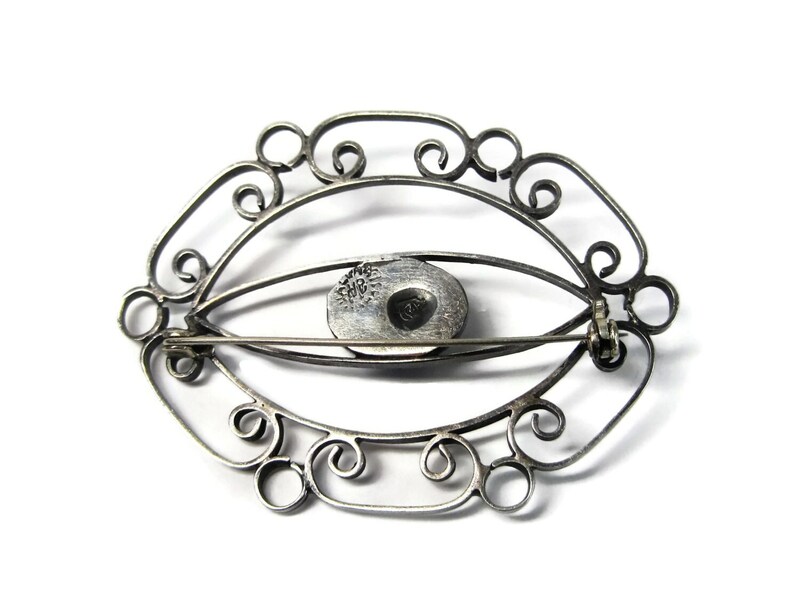 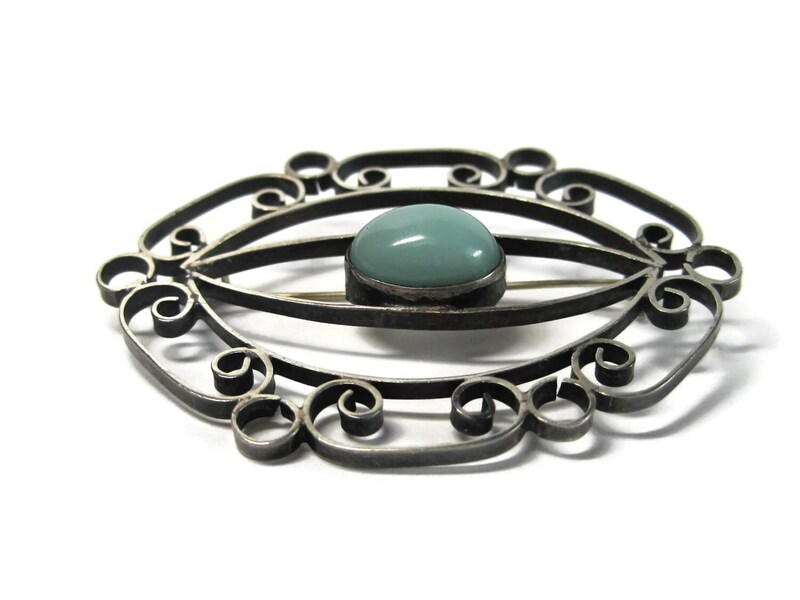 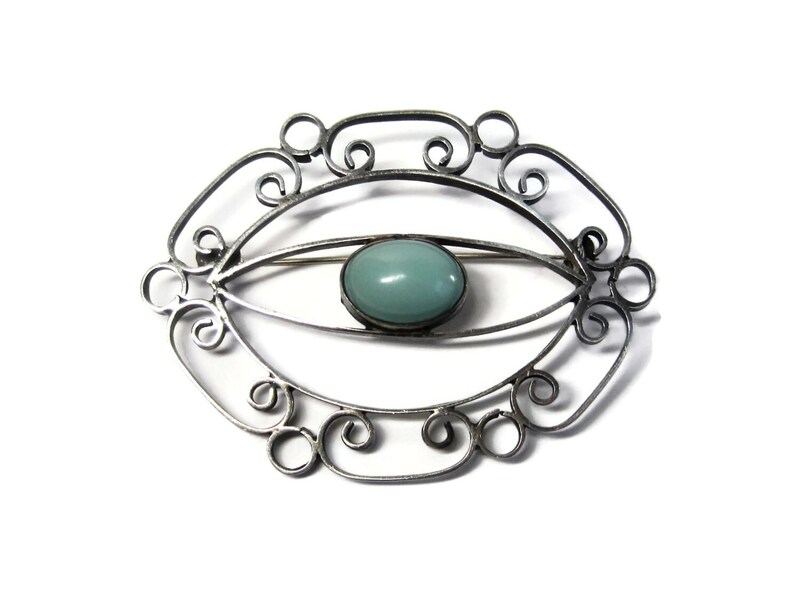 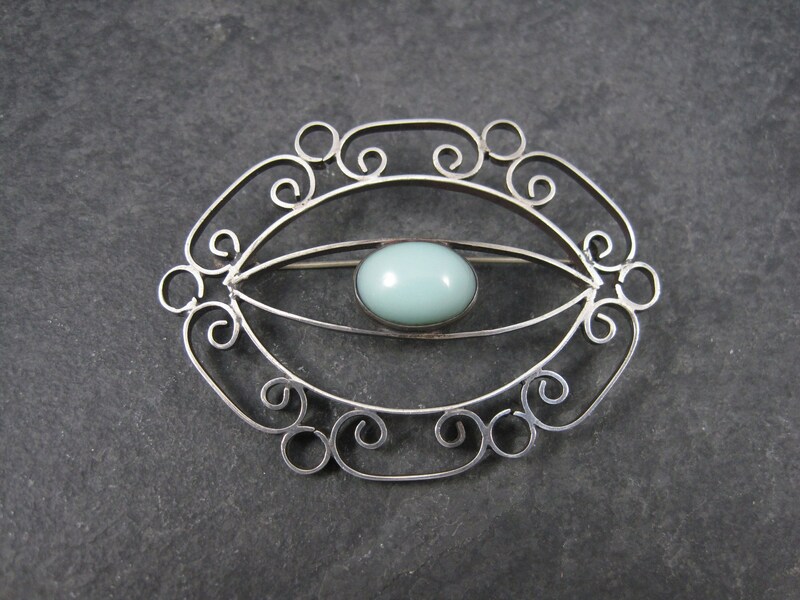 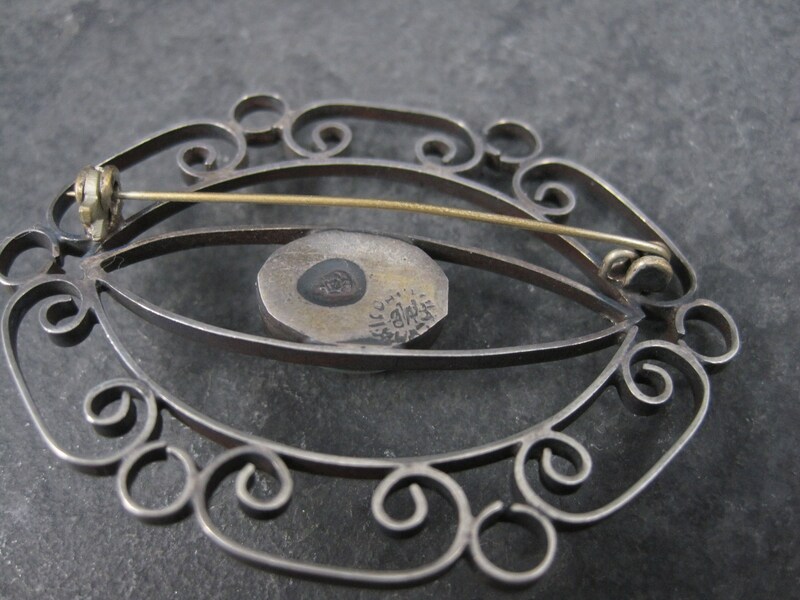 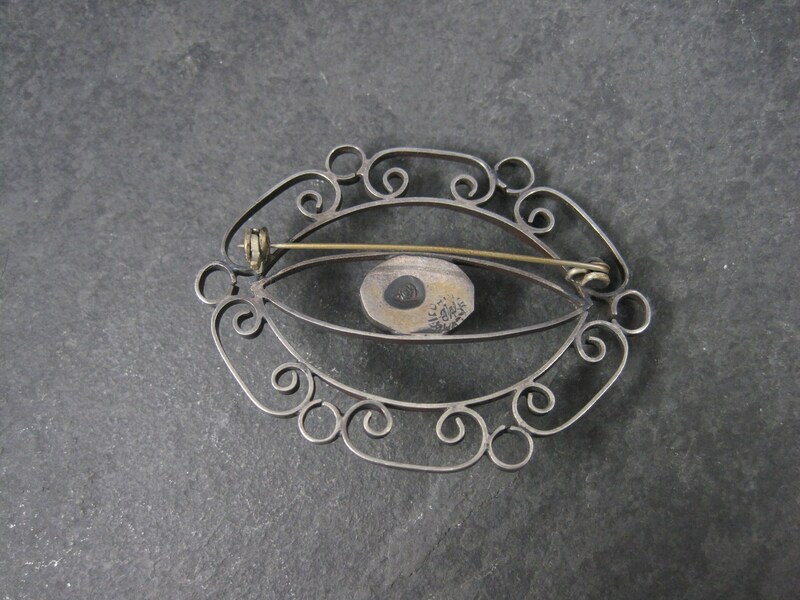 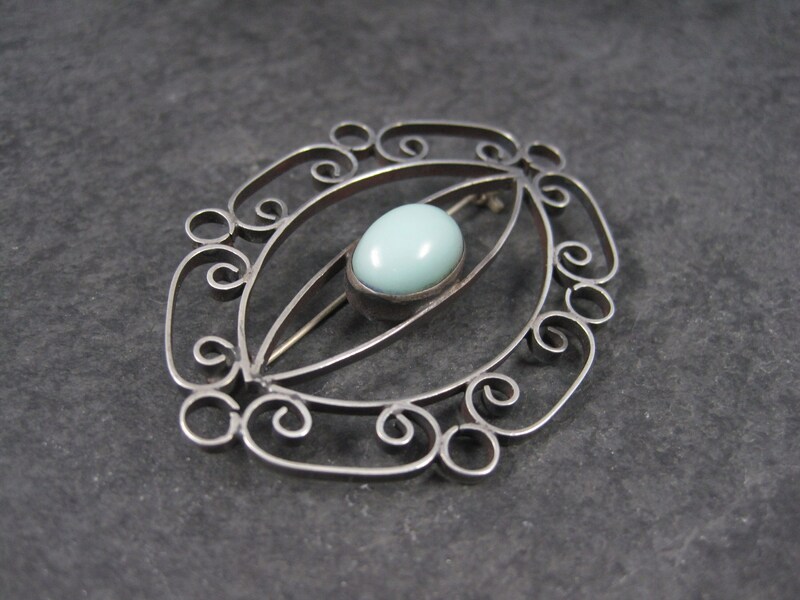 This gorgeous sterling brooch is a product of Mexico. 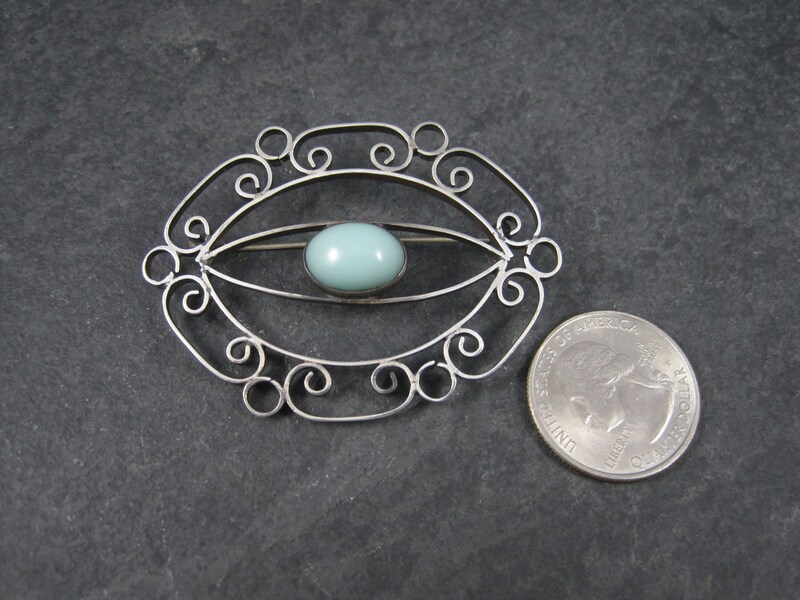 It features an oval robin's egg blue plastic cabochon. 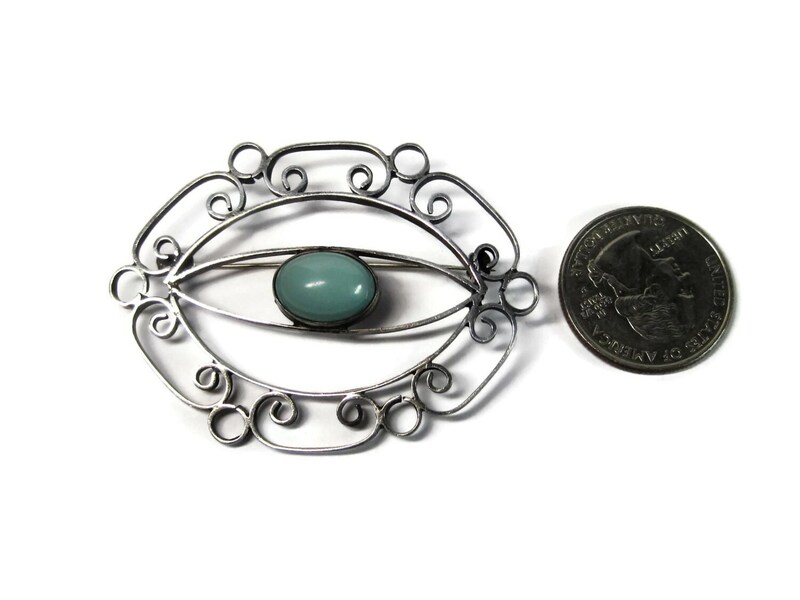 This brooch measures 2 1/4 by 1 5/8ths inches.